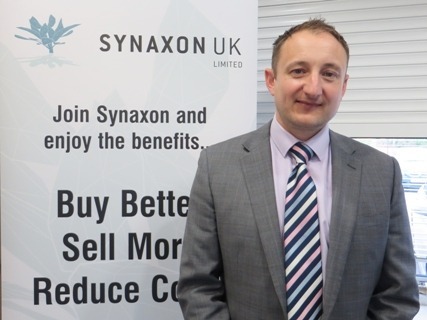 Synaxon has added the portfolios of three more distributors to its EGIS stock, availability and procurement management platform, and released a series of enhancements that make the system even more effective as a tool for cost-efficient and effective product sourcing and order management. The group has swelled the ranks of its distributor partners to 32 and expanded the range of products available via EGIS significantly by adding batteries and components specialist AGI, print consumables supplier Unique for Print (UFP), and GNR Technology. These additions take the number of SKUs available through EGIS to more than 1.5 million. As well as these distributors, members can view the current pricing and availability of products from most UK broadliners on the portal. The group has also made enhancements to EGIS, adding a Live Stock and Price Check function that immediately checks for the latest-available updates from the distributors who hold stock of specific products. The reseller’s own agreed prices with the individual distributor are displayed on every search. It has also enhanced its Optimizer feature, which enables resellers to reduce the overall combined cost of your order when delivery and other factors are added in. AGI is one of the most well-known IT product distributors in Germany, where it already partners successfully with Synaxon’s parent organisation. The company stocks a wide range of quality batteries, power adaptors and other ancillary and accessory products for popular brand-name systems, such as Acer, ASUS, Blackberry, Dell, Fujitsu, Microsoft, Samsung and more. Over 54,000 items are available from AGI, so it offers tremendous choice. The distributor is an authorised Acer spare parts partner (and has more than 3000 products in stock). It offers free shipping to the UK on orders over £300 with delivery to UK addresses within two to three days. Members can get direct support from AGI’s English-speaking account team and through Synaxon UK. UFP specialises in printer supplies and offers a range of 10,000-plus items from 80 of the leading printer/MFP, consumable and office products suppliers, all of which are now available via EGIS. Synaxon will be putting up regular promotions and offers from UFP on the EGIS site. GNR Technology offers a great range of leading-brand hardware and software products and components and this completely new partnership gives members exclusive terms and conditions and dedicated account management from the company.